Paul continues his defense of his ministry against the criticisms of the Corinthians. They were perturbed that – among other things – he had not taken a salary from them. Perhaps they felt it was a sign that he considered himself better than them or was not willing to fit into their way of doing things. Paul has been explaining that while he has the right to be paid, he chose in this instance to not receive a salary. He did not want the gospel to be viewed by the Corinthians as yet another sales pitch. But now, as he continues his defense, he establishes four important principles for ministry – then and now. First, that it is the command of the Lord that those who preach the gospel should receive their living from the gospel. It is certainly possible for a minister, like Paul did, to waive that right. But it was the general rule that those who preach should be paid so that they can focus on the preaching. Second, preachers of the gospel, though, are not “hirelings.” They are not to be in it for the money. They are under an obligation. 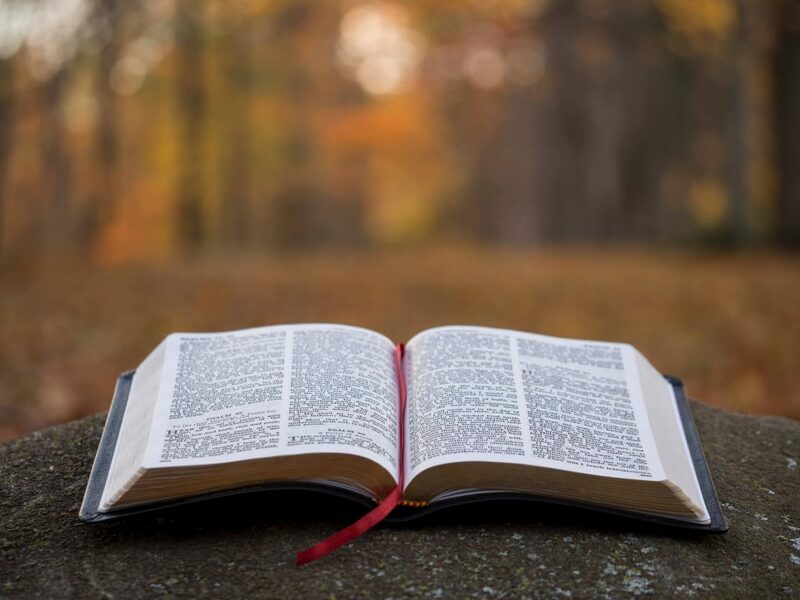 Paul was “compelled to preach.” “Woe to me if I do not preach the gospel!” All true preachers of the gospel understand this: They must preach for they have been sent by God to preach the gospel. That is their passion and their obligation. They are compelled by God to preach. They are not just earning a living, and they’re certainly not just doing it for the fun of it. It is a serious charge from God that they must fulfill. Third, Paul said that he became all things to all people so that by all means he might win some. What does Paul mean by this? Paul does not mean that he jettisoned doctrinal beliefs in order to win people. Paul is taking great care to outline the teaching of the gospel in this very book! What he means is that if he is trying to win a Jewish believer, he is willing to adopt Jewish ceremonial rules and rituals, but if it is a Gentile, he will act more like a Gentile. These ceremonial things are now – in Christ – of no ultimate significance, and therefore he adapts to the circumstances around him. We may apply it like this: matters of contextualization are important. Preachers of the gospel not only stick to the true gospel, they also (like Hudson Taylor) wear the clothes of the people they are trying to reach, they (like Charles Wesley) use the music which is the heart language of the people they are trying to reach, they (like Jonathan Edwards) adopt the terminology of the people they are trying to reach. Many a gospel work makes no progress for failure to understand or apply this principle. Some jettison the gospel itself in an attempt to be relevant. What a mistake! You are not reaching people if you throw away the gospel life raft that you need to reach them! On the other hand, some people hang on so securely to their gospel life raft, but they are unwilling to actually get near the water where the people are who need rescuing. Contextualization is key, and it requires prayerful wisdom and at times bravery to run against the pickiness of some religious believers in order to adopt the right language and style to reach the people around you. Fourth, Paul was not only concerned for his ministry, but also for his own character and his own soul. He uses very strident and striking language: he beats his own body; he goes into strict training like someone competing at the Olympic Games. Why? So that after he has preached to others, he will not be disqualified from the prize himself. So many ministers have neglected their own souls, their own character, in the pursuit of ministerial effectiveness. It is a dire and deadly mistake. As Paul elsewhere says: watch your life and doctrine carefully. Not just your doctrine: also your life, your character, your holiness, your gospel-hearted discipline. 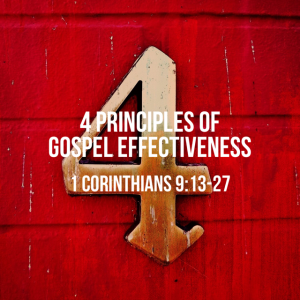 Four principles of long term gospel effectiveness that apply also today. ← 1 Corinthians 9:1-12: Does This Hinder the Gospel?